As a Christmas treat we are pleased to bring you a track by one of our favourite producers - John Tejada. Thank you John for your help with this post - great to feature your music here at last. John has been releasing high quality techno for many years on labels such as Plug, deFocus, GDI, Multiplex, Palette and Immigrant. 2009 saw John drop a storming mix for the Fabric label compilation series. The California based artist stands out due to his high level of musicality (classically trained) and the consistency of quality in all his releases. We cannot name a poor track from the many we have heard! John is also very diverse in his styles and does not create only techno. Hunt down the brilliant 'Genetical Love' to see what we mean. 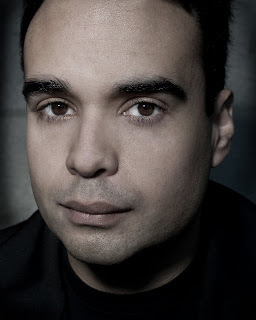 Palette Recordings was started by John Tejada in the fall of 1996. Many releases later it is one of the most respected techno labels in the world. Palette became an exclusive outlet for Tejada to release his most prized music. Past releases have featured music and remixes by artists such as Daniel Bell, TitontonDuvante, Klute, Dominick Martin, and Dan Curtin among others. However these days the label is set up as the primary outlet for the work of its three main California based artists. John Tejada, 19 year Tejada collaborator Arian Leviste, and Justin Maxwell. New additions to the LA team are Dave Hughes and Josh Humphrey. Below is a great melodic slow techno workout 'The End Of It All' as featured in the Palette back catalogue. The perfect tune for deeper moments. We highly recommend tracking down John's many albums and singles.